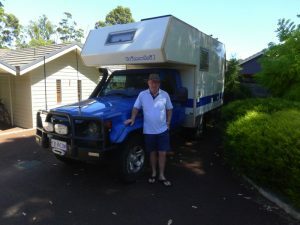 Attached, at last, are some photos of the truck “in action”. As I think I told you, we drove from the UK to South Korea in it so I thought some pics from Central Asia would be Appropriate. The first one is in the desert in Uzbekistan. 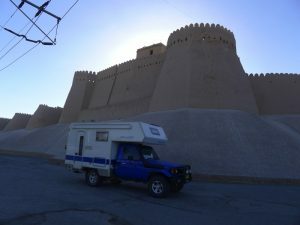 The ones with the truck and the walls are in Khiva in Uzbekistan and 4.jpg is at 3,200m above sea level in Kyrghizstan. 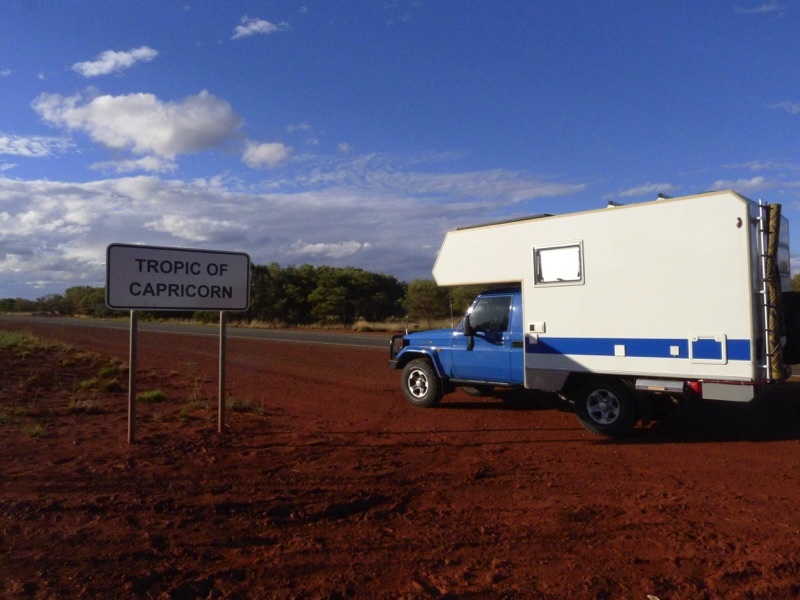 The one at the Tropic of Capricorn was on our trip to north-west WA last winter. There’s a few of me as well ;-). Thanks very much for getting the insurance sorted out for me. For the first time since we had the truck built I feel that it’s insured for its full value and if it ever goes up in smoke I should be able to replace it with something suitable. I had the chassis cab fully modified and renovated in Oz and then shipped it to Europe where we had the Bimobil custom-built camper body fitted in Germany. The problem has always been the value of the modifications and additions to the truck. 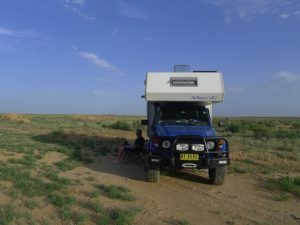 I specified it for long-distance expedition travel without too much thought for cost. 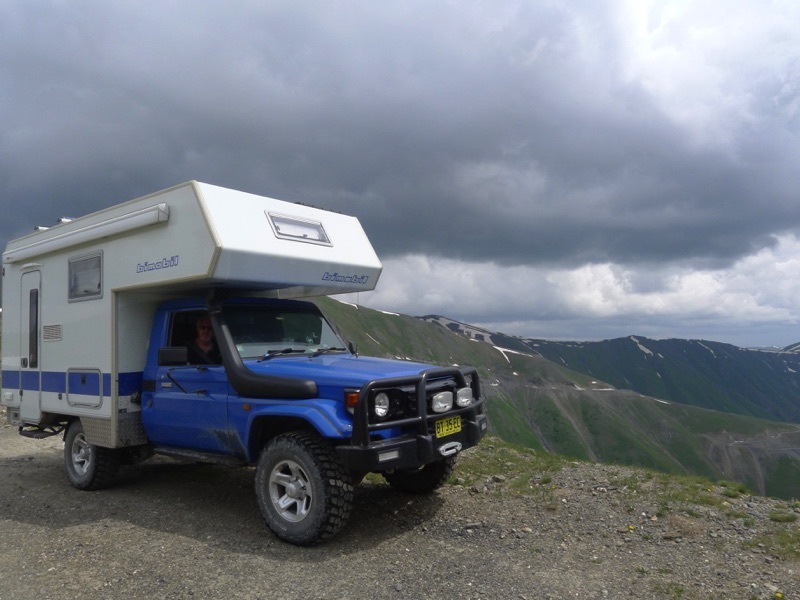 I just wanted a vehicle that would take us to all the strange places we wanted to go with minimal problems: hence a Land Cruiser. The cost of modifying it came to a lot more than the cost of buying it and most insurers find this very difficult to deal with. They seem to find the approach illogical, sort of “why didn’t you just buy a new truck?”, with no understanding of my reasoning behind the modifications. It’s a 2002 HDJ79 and, given everything I’ve spent on it, I could just about have bought a new V8 79 Series but I didn’t want the electronic complications. 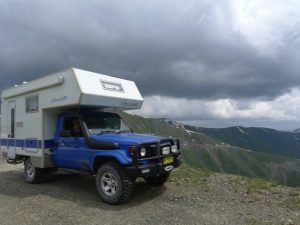 Anyway, Club 4×4 appreciated my reasoning and, having given you a list of all the mods etc, you have insured it for an acceptable agreed value, likewise the camper body. I must say that I was a bit shocked when I added up all the mods as I’d sort of ignored this! The other thing I appreciated was being able to buy the remote area recovery insurance. 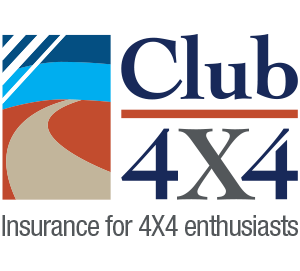 We intend to cover most of the “iconic” outback tracks over the next few years and $200 is not a lot to pay for the knowledge that you’ve got $15K available to get you out of deep trouble. It’s a great product and I don’t believe anybody else offers such a thing. So, I’d just like to say thanks again for your help. 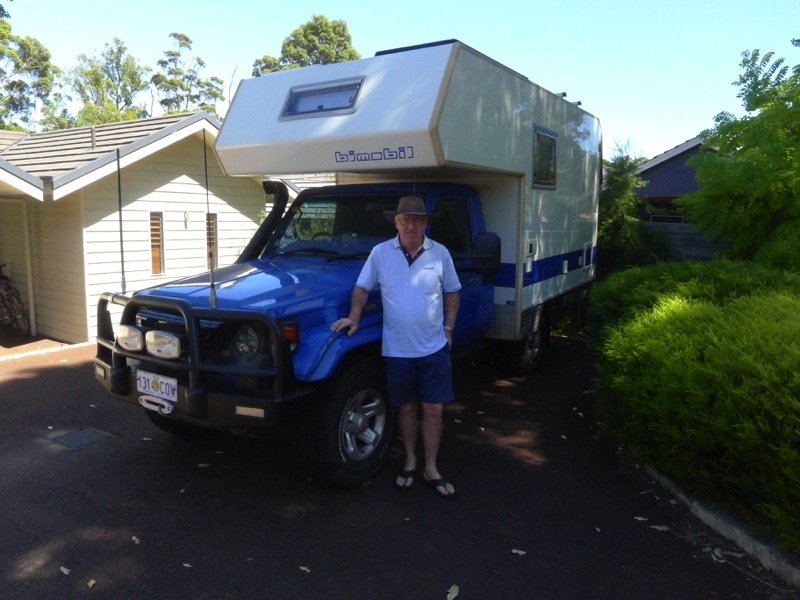 I’ll be speaking to you again in the next few weeks as the insurance on my Nissan Patrol is coming up for renewal.